At the Law Offices of McAlister & Garcia in Fort Worth, clients benefit from working with an attorney who has 34 years of experience. Regardless of the complexity of your Texas family law case, you can be sure that Mr. McAlister has the knowledge and skill to protect your interests. Ken McAlister is board certified in civil trial law by the Texas Board of Legal Specialization (not certified in family law by the Texas Board of Legal Specialization). As an accomplished trial lawyer, he is more than prepared to take cases to trial. However, he advises family law clients to attempt to resolve matters with negotiation or mediation first. Family law trials are stressful and expensive for both parties. When children are involved, a trial can damage the parents' ability to work together in the future. Typically, the family's interests are best served by reaching an agreement rather than awaiting a judge's verdict. The firm provides representation in cases such as divorce, property division, child custody and visitation, child support enforcement, modifications, paternity and prenuptial agreements. In addition, Mr. McAlister can assist you with simple wills and probate litigation. Ken McAlister is well-known in the local legal community. He has tried more than 160 cases in county and district courts in Texas. He receives most of his clients as referrals from former clients and other lawyers and has also received an AV rating* from Martindale-Hubbell. 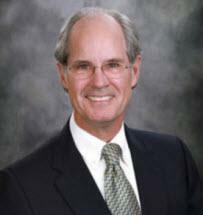 Mr. McAlister has been selected for inclusion in Super Lawyers every year since its inception. To schedule an appointment, please call the firm in Fort Worth at 817-335-5455. Mr. McAlister offers a free 20-minute phone consultation. For your convenience, the firm accepts credit cards.